If you suffer from chronic snoring or are suspected to have sleep apnea, you have probably been recommended to undergo a sleep study. A sleep study is a means to diagnose sleep apnea by monitoring you while you sleep. While the procedure is simple and safe, many people remain uncomfortable with the thought of undergoing a sleep study in Garland. As your sleep clinic in Garland, TX, we are here to put your worries to ease with the information you need to know. 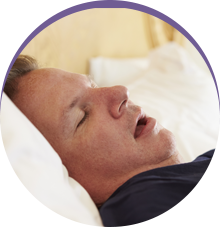 At Sleep Rehab, we work with local physicians to provide the necessary sleep studies needed to determine if you are suffering from sleep apnea. What to Expect with a Sleep Study? A sleep study is basically just as it sounds—a study of you while you are sleeping. The discomfort and uncertainty of a sleep study often has to do with the fact that you have to sleep in a strange location to undergo the study. However, this is not the case when choosing Sleep Rehab. You are able to undergo the professional sleep study right from your own home. This offers a more convenient, comfortable, and less expensive option. 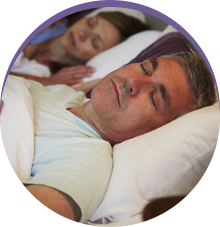 When choosing a home-sleep study, we will provide you with a simple device to wear while you sleep. The device allows us to monitor your body while you sleep. The small and simple device will monitor your stages of sleep and cycles of REM and nonREM while you are sleeping. In addition, we will measure your oxygen levels, heart, and breathing rates using a sensor. By allowing you to undergo the sleep study at home, we are often able to gather more accurate and in-depth results. Often, when you are in a strange environment, it can be difficult to fall asleep and remain asleep. As a result, the information gathered may not be sufficient enough. However, by undergoing the study from the comfort of your own home, you will sleep soundly while the device gathers the necessary information. After your sleep study is complete, the information gathered throughout the night will be analyzed and interpreted. Using this information, your physician is able to provide an accurate diagnosis to determine if you suffer from sleep apnea. Using the information gathered, your physician will write a prescription for effective sleep apnea treatment. After your physician has provided a diagnosis, we offer the treatment options you need. We offer CPAP machines to deliver a steady stream of air through a mask that is worn over the mouth or nose. This will help to keep the airways open to reduce pauses in breathing. As an alternative to the CPAP machine, we also offer a number of oral appliances to meet your needs. 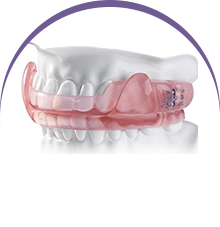 Oral appliances reposition your jaw forward to keep the airways open while you sleep. If you have been told you need to undergo a sleep study, stop fearing the process. Now, you will undergo the study from the comfort of your own home with Sleep Rehab.